Located in the southeastern region of the United States, Tennessee is a unique state with the Mississippi River to the west and the Appalachian Mountains to the east. Ranked 36th in area in the nation, Tennessee is bordered by Kentucky, Virginia, North Carolina, Georgia, Alabama, Mississippi, Arkansas, and Missouri. 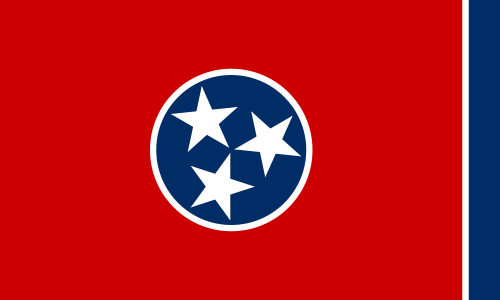 Entered into the union in 1796, Tennessee is the 16th state entered into the US. The capital and largest metro area of “The Volunteer State” is Nashville, but Memphis is the largest city in the state. Tennessee’s population of over 6.4 million residents ranks 17th in the nation and 21st in density. Tennessee was the first state west of the Appalachians with a constitutional government. During the Civil War, Tennessee was the last to leave the union and supplied the most troops to the Confederate Army, but was later reinstated to the union in 1861. When you are looking to recycle your scrap metal in the Tennessee region, it’s important to research the current prices and surrounding scrap yards. The iScrap App can help you locate scrap yards and the prices in the area. If yards choose to list their prices, they can be found easily, however some may choose not to. Users and customers will be able to post their scrap prices they were paid for whenever they sell their metals. With a wide variety of industries make up the economy throughout Tennessee including agriculture, tourism, and manufacturing. Some companies that produce electrical, automotive, and construction equipment are in the state. These industries directly relate back to the need and demand for scrap metal recycling statewide. Materials like steel, copper, aluminum, stainless steel, and other metals are important to put back into the processing system to produce more goods. There are several locations throughout the state of Tennessee that have scrap yards and salvage yards you can bring your materials to. Some eastern locations include, Johnson City, Knoxville, and Chattanooga, where the western locations in Nashville and Memphis can also help you. Search the map above for Tennessee scrap yards and salvage yard locations or search for your zip code on our directory. You will be able to find out contact information for the yard, as well as view scrap prices, request containers for larger jobs, ask about auto parts, and request scrap car pickups.